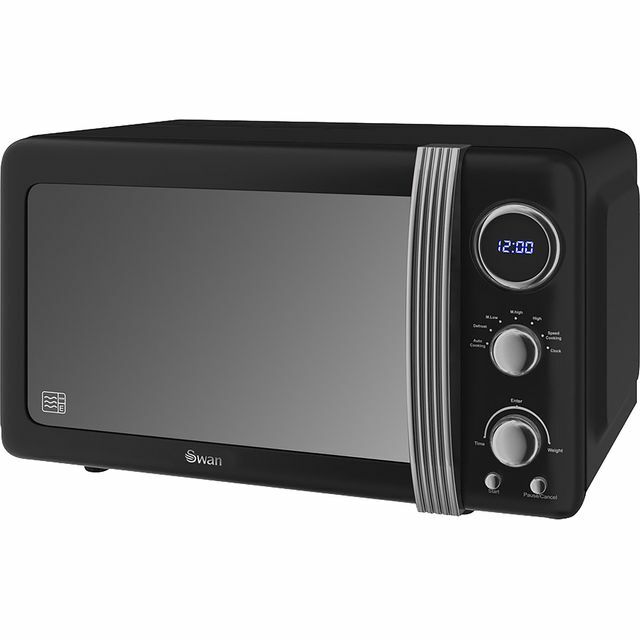 This black microwave oven from Swan would be an eye-catching addition to your worktop. With a 20 litre capacity and 800 Watts of power, it’s the perfect choice if you live in a smaller household. Whether you’re preparing pasta, pizza or popcorn, there’s a choice of automatic programmes as well, which means you’ll never need to guess any cooking times. You’ll know exactly when your meal is ready as well, thanks to the handy electronic minute minder. 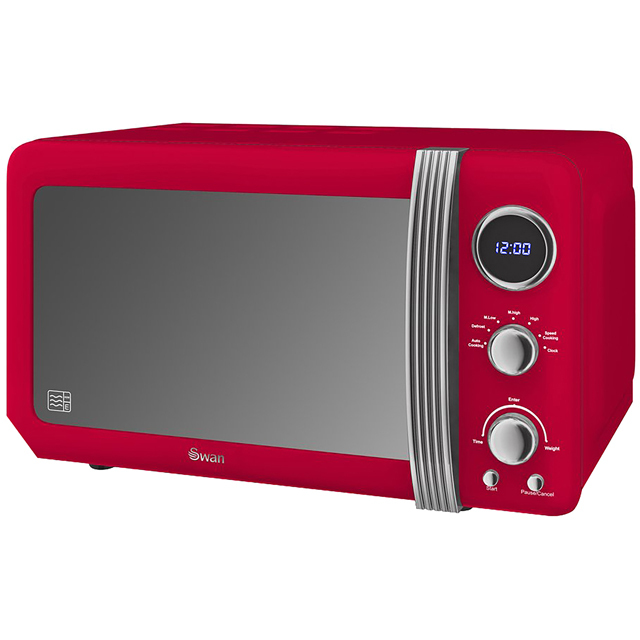 With its stylish retro design, this microwave will certainly make a lasting statement in your kitchen. Am still finding my way through the instructions. I use mainly for heating up milk for coffee and defrosting and it does the job. I do like the retro look. So far so good. 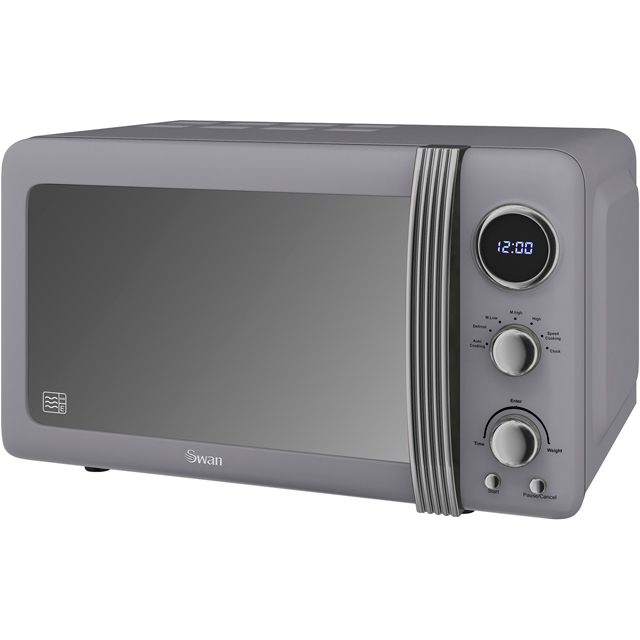 A nice easy microwave. And good value. Very pleased with it. Love the retro look, it's smart easy to use, and enhances my kitchen, looks more expensive than the price tag. Going to be looking at the other products to match.